Welcome to the African Otter Network! We are a group of specialists whose sole mission is to promote African otter conservation through research and education. On our website, you can find information on who we are and on our projects, you can download free resources and report an otter sighting or otter presence. And of course, if you have any doubts or questions, please feel free to contact us! Otters around the world need our help because without it, they will fall through the cracks and succumb to habitat loss, illegal trade and hunting. The more I learn about them, the more I realise how much still needs to be learnt. Otters are understudied and often misunderstood as a result of our lack of knowledge. My aim is to change this and give otters the limelight they deserve. The combined distribution map of all four African otter species, based on the latest IUCN Red List maps. Click here to see a larger version of this map. Have you seen an otter or otter signs?Your data is fundamental for our research! 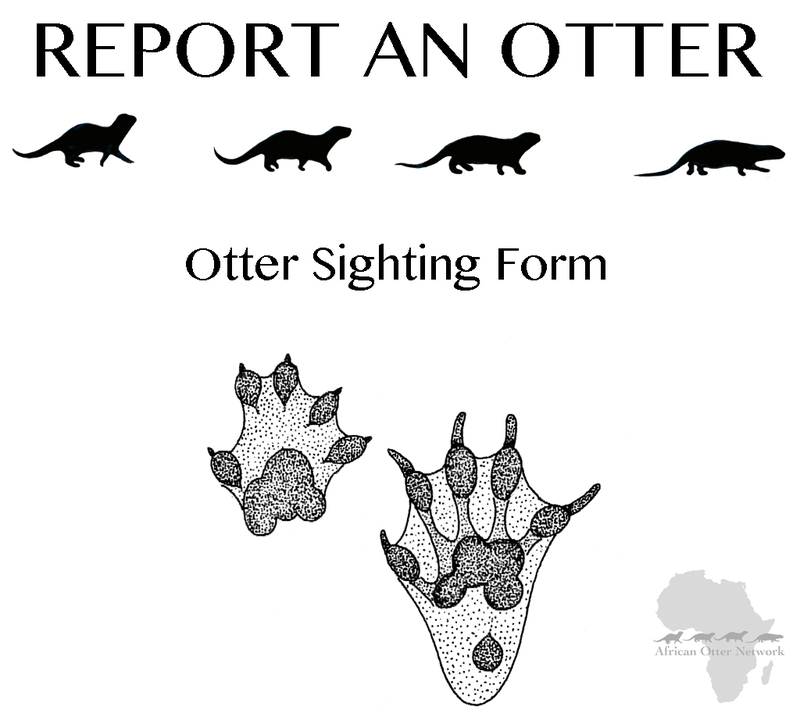 Please click here to access a form for sightings of otters or otter signs in Africa. Thank you!